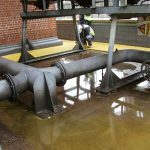 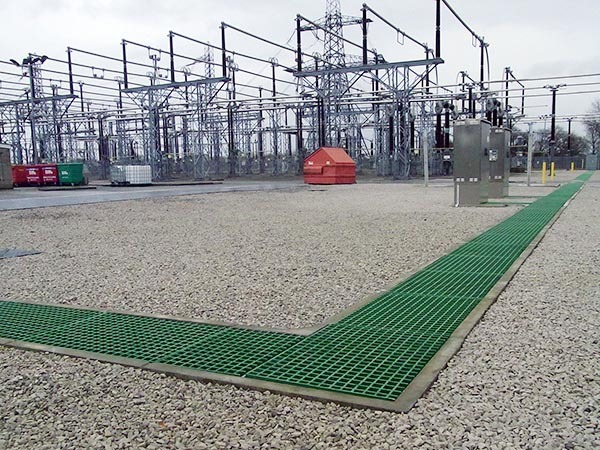 The tough environmental conditions found across the utilities sector present particular material performance challenges with regard to chemical and corrosion resistance, as well as the risks associated with electrical conductivity and fire hazards. 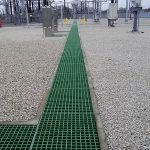 It is a fact that Utility companies have witnessed a raise in metal theft in recent years and this is not only a drain on their resources, more importantly it causes a safety risk as the products that are stolen, predominately metallic floor coverings, leave a ‘risk of injury’ hazard. 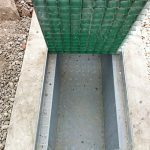 The flexibility of composites enable them to be matched to the performance requirements dictated by the environment, making them a safe, durable and cost-effective option. 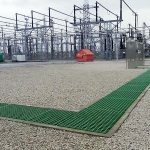 UK Power Company (Mon 6th June 2016) - Industry Sector: Power Distribution Application: Moulded 50mm deep grey grating used in the Power Distribution industry as an internal switch room building on an electrical sub-station. 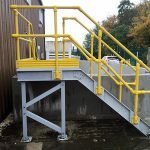 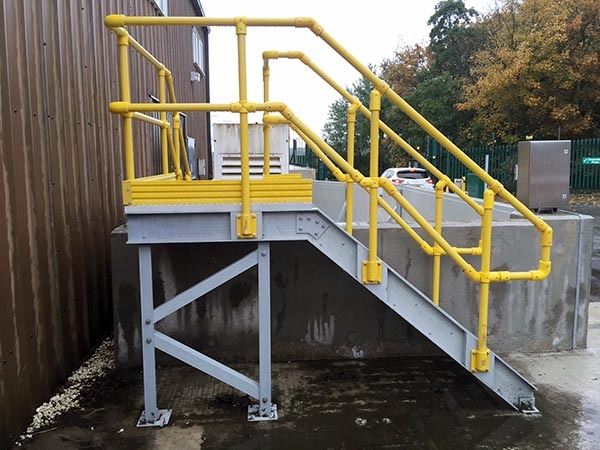 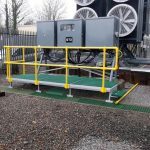 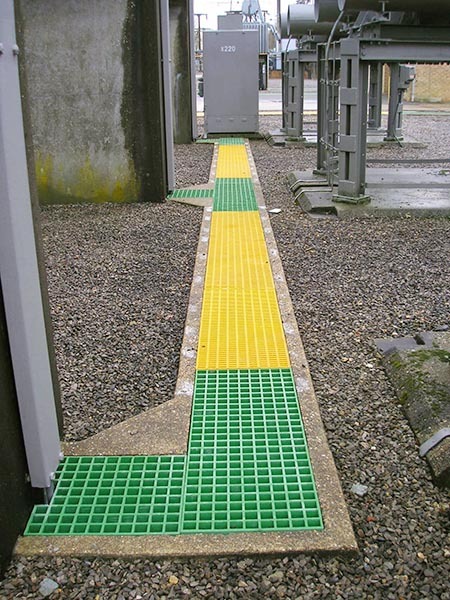 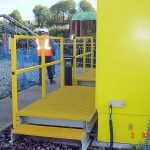 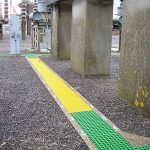 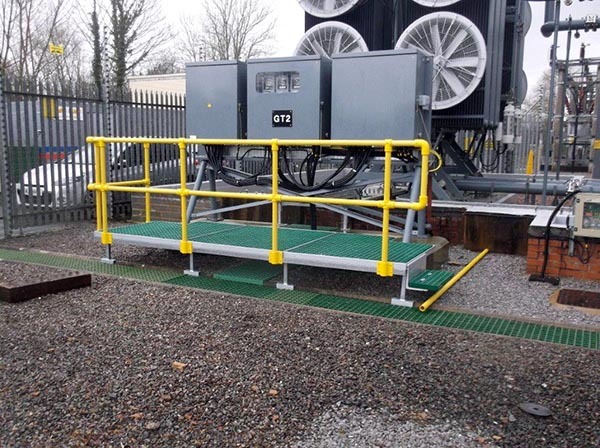 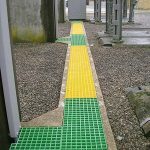 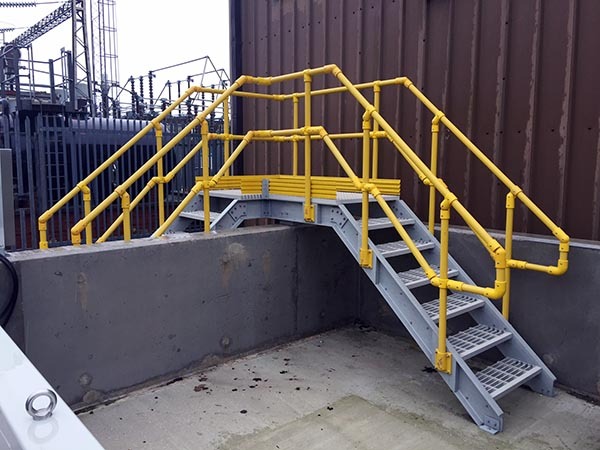 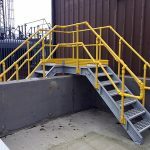 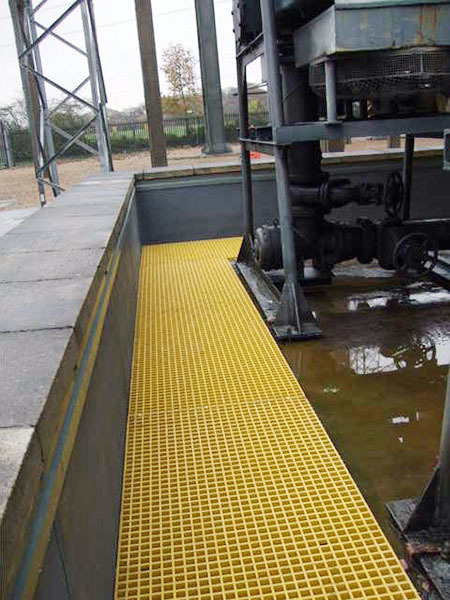 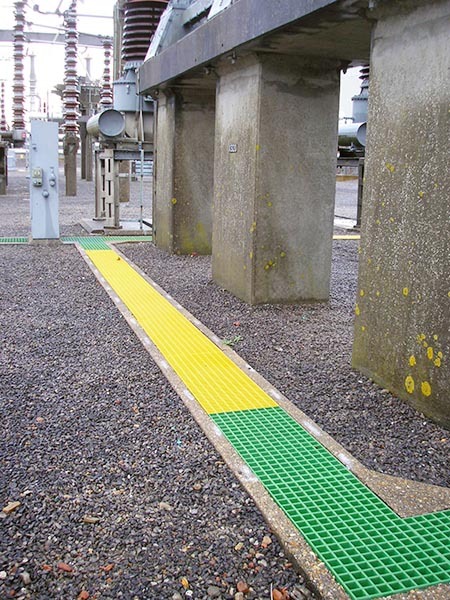 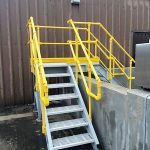 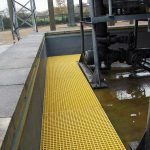 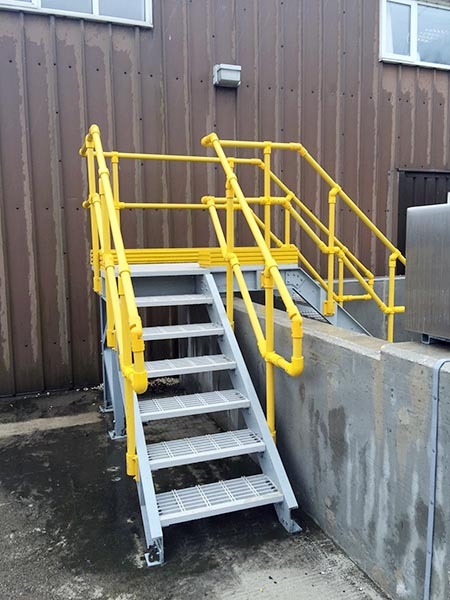 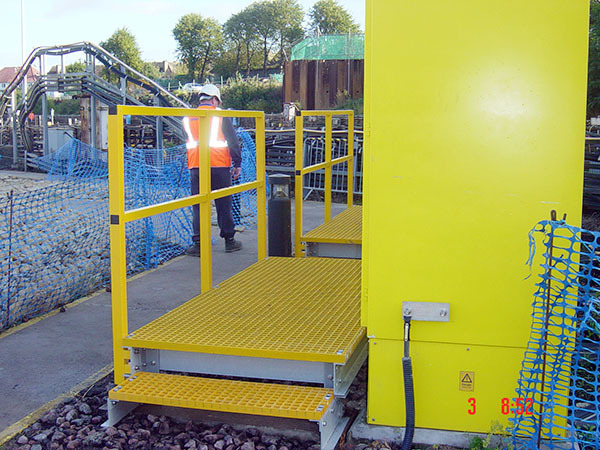 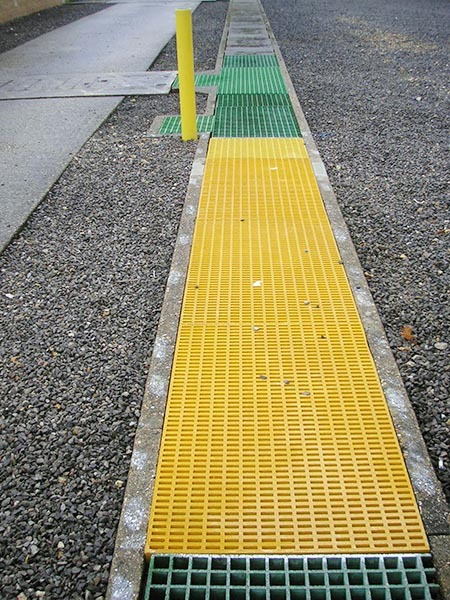 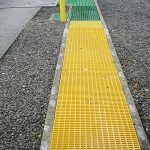 National Grid Plc (Mon 6th June 2016) - Industry Sector: Power Distribution Application: Yellow 50mm deep High Load Capacity (HLC) Moulded GRP grating used in the Power Distribution industry on sub-stations for vehicular crossing points for safe vehicle access points. 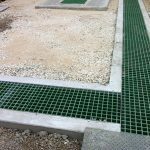 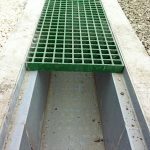 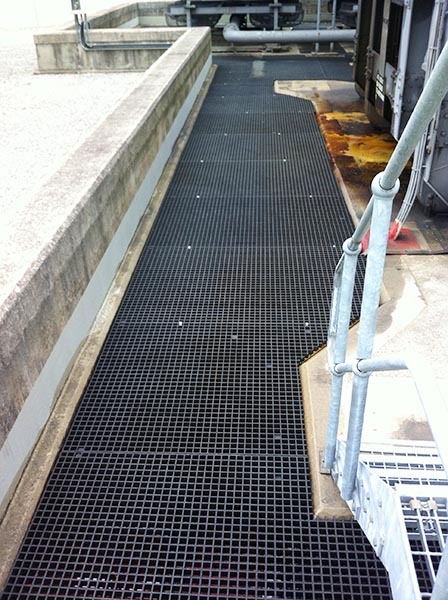 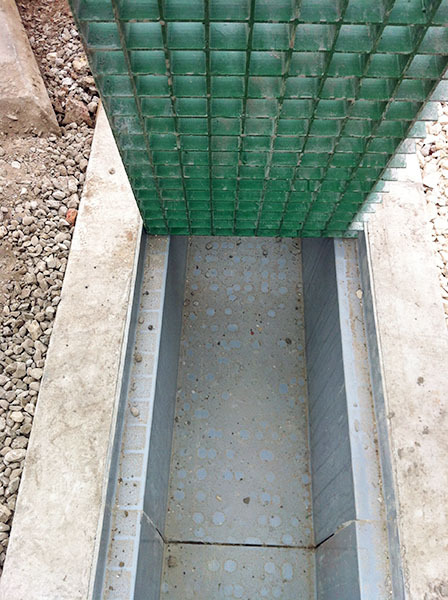 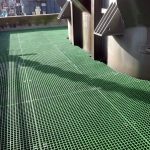 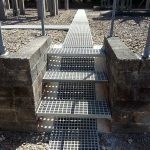 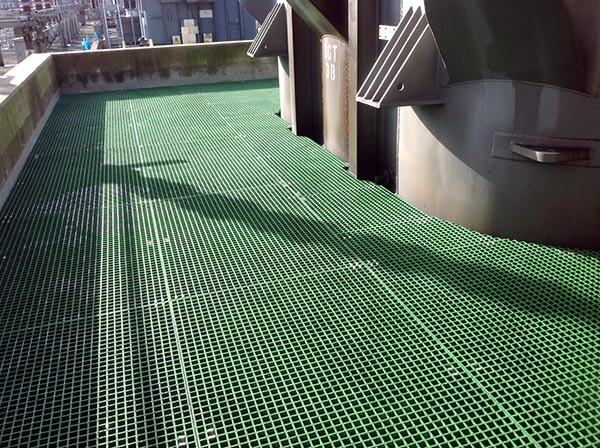 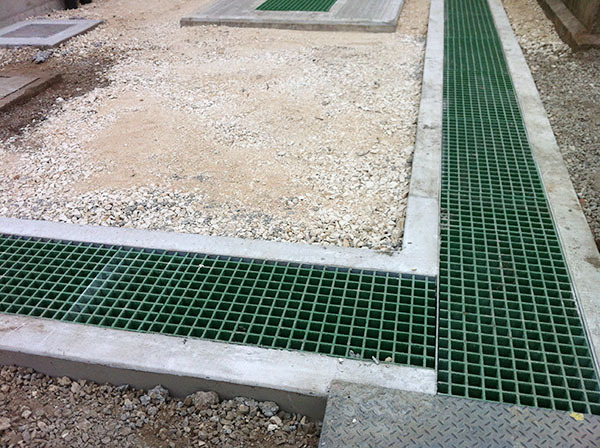 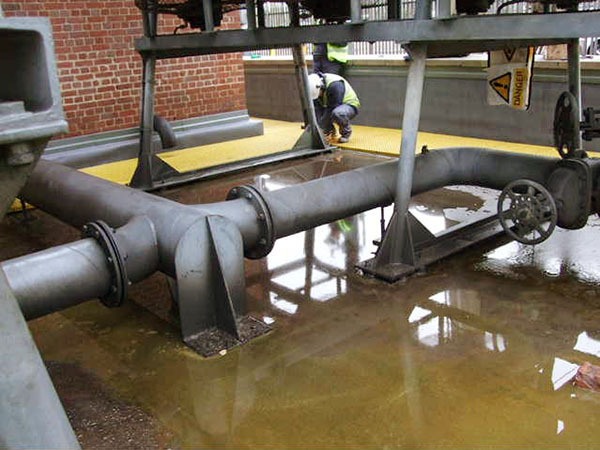 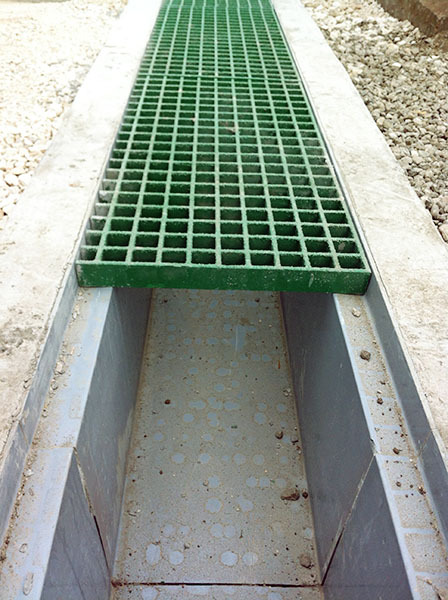 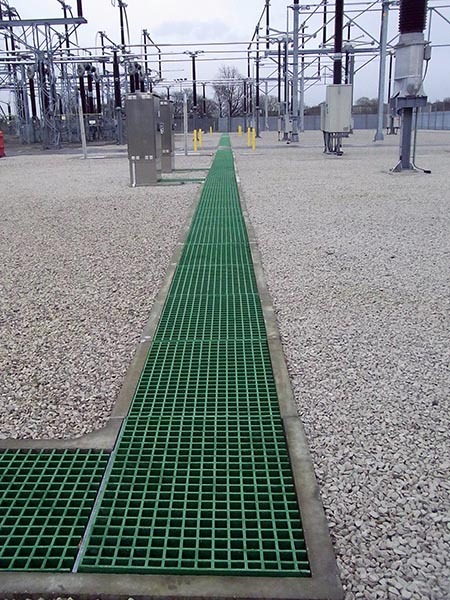 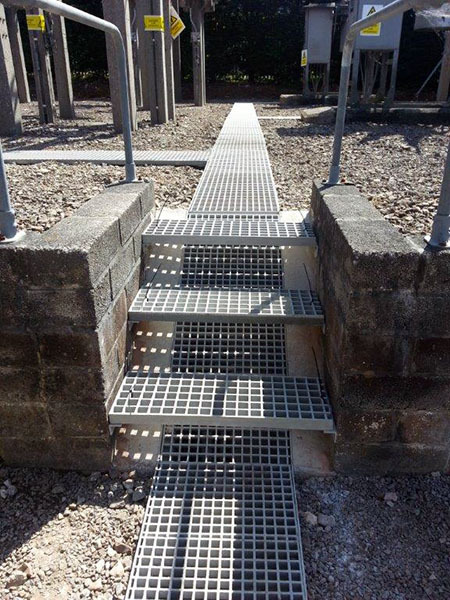 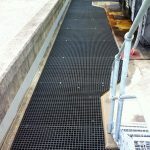 National Grid Plc (Mon 6th June 2016) - Industry Sector: Power Distribution Application: 50mm deep Moulded GRP grating used in the Power Distribution industry as a direct replacement on the majority of sub-stations for old concrete trench covers.